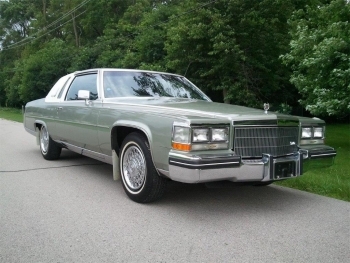 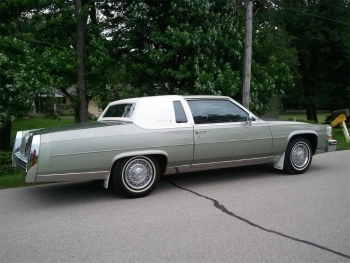 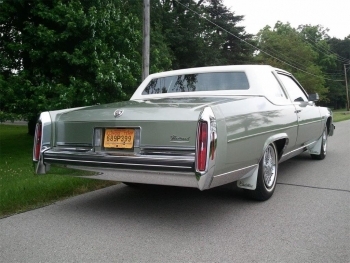 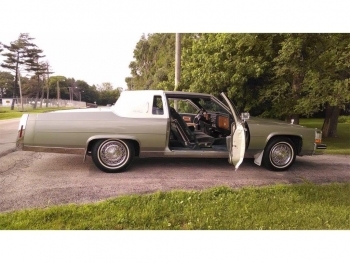 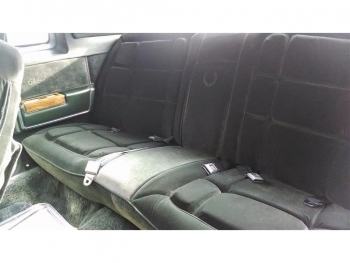 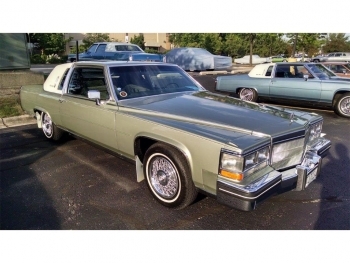 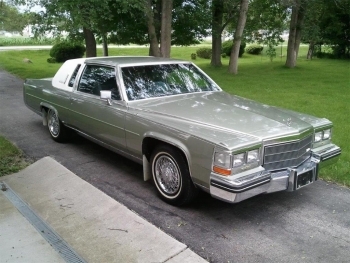 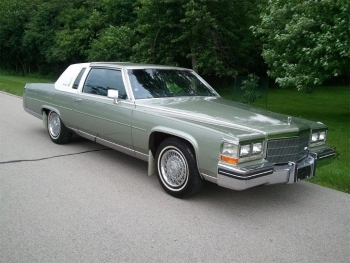 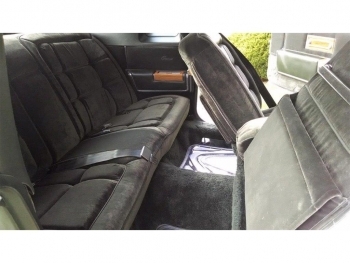 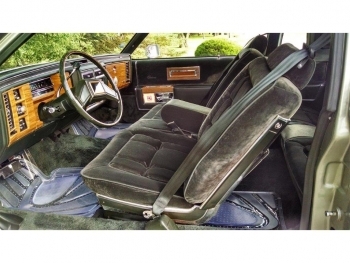 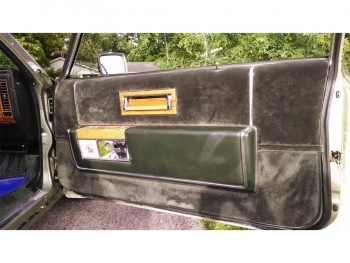 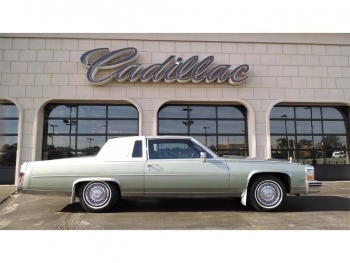 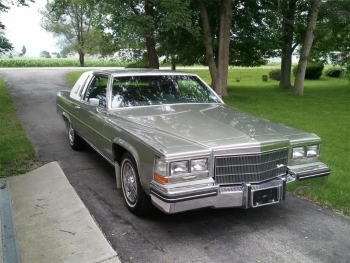 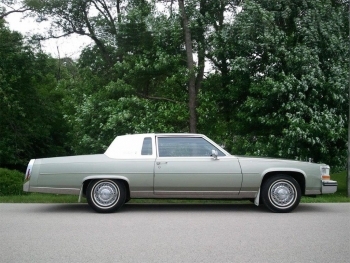 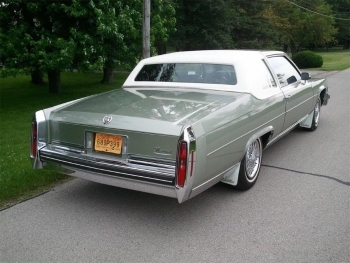 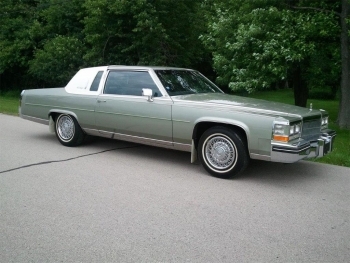 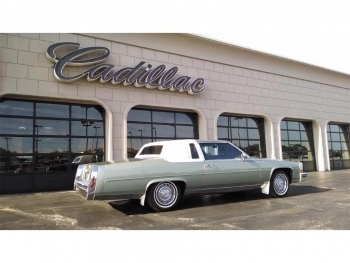 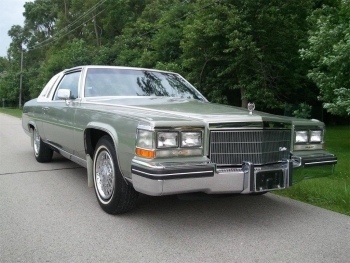 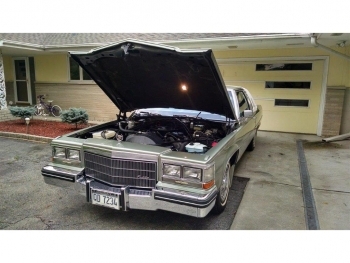 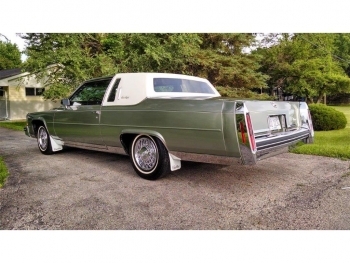 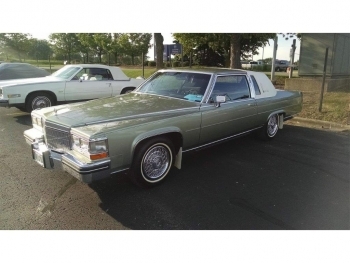 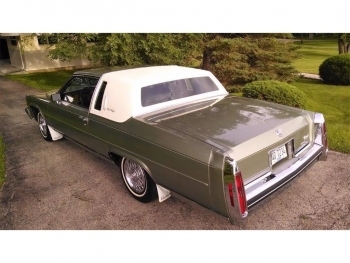 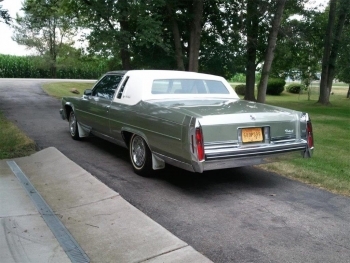 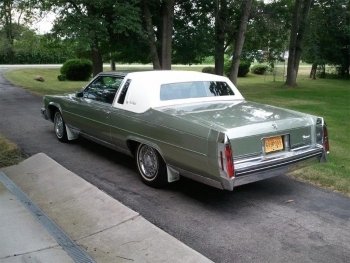 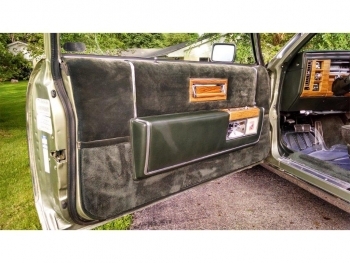 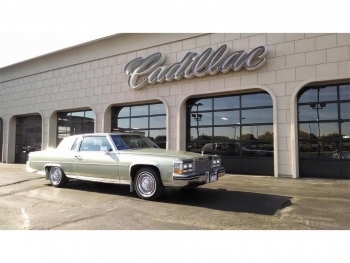 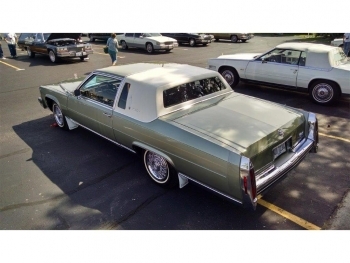 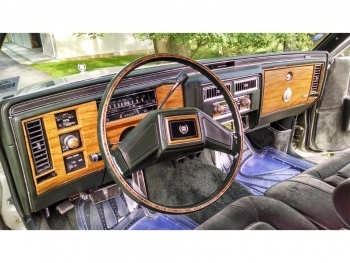 1985 CADILLAC FLEETWOD BROUGHAM COUPE, Aspen green, matching velour interior, and white cabriolet top. 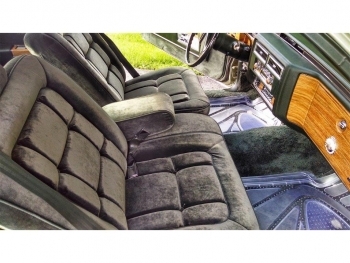 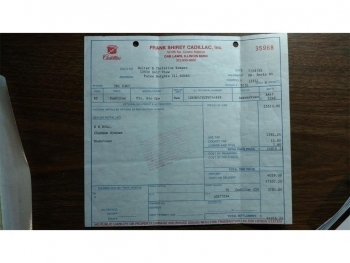 This is a very low-mileage car: only 6,047 original miles. 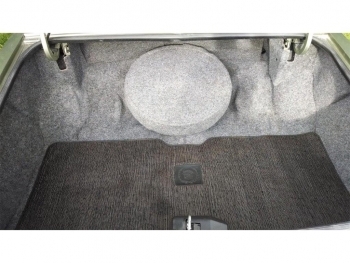 It comes with the usual options including AM/FM radio, Power Door Locks, Power Windows, Power Steering, and Rear Wheel Drive.